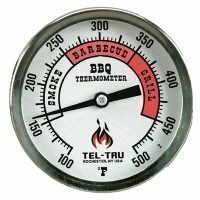 These Tel Tru bbq thermometers have 4 and 6 inch long stems that will reach further into a large commercial pit. They are available with both 3 and 5 inch dial faces that come in a few different colors. 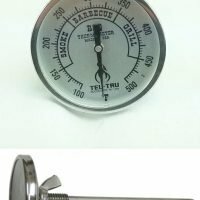 Most long stem bbq thermometers are made to be mounted in the door or side of the smoker at about grate level. 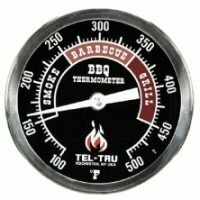 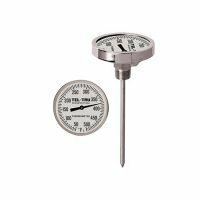 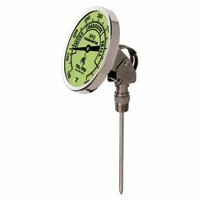 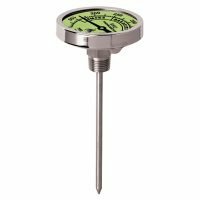 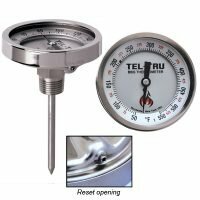 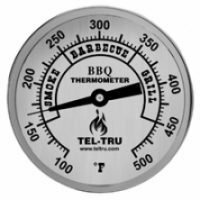 What is the right placement for your Tel Tru long stem bbq thermometer on your smoker?